Cucina Fintastica is about to reach its 5th anniversary. Time certainly flies! My activity as a blogger has had its ups and downs (as have my kitchen adventures – not to mention baking). 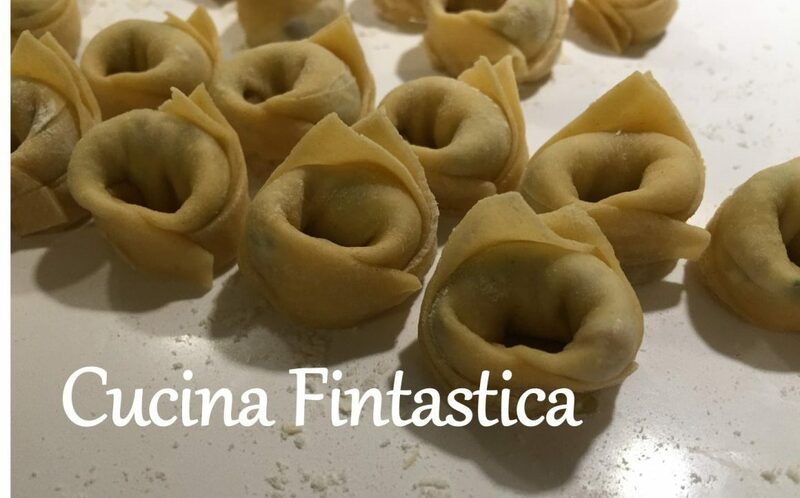 However, my passion and excitement for cooking has remained constant throughout this time and the number of Italian recipes I have tried during the past five years is probably at least two-fold compared to the number of posts on Cucina Fintastica. A lot has happened also in the background since January 2014. My kitchen is bigger. A friend with a camera has been replaced by a husband with a camera. There are also some smaller mouths (and hopefully budding fans of Italian kitchen) to feed. In addition, I have learned a lot! I have become acquainted with all sorts of Italian dishes, many Italian cheeses and even some vegetables. My Italian skills are ever improving (well, slowly but surely). There are also quite a few neat kitchen tricks that I have discovered from my Italian sources. Kitchen ups and downs teach you about yourself too. I admit now that I will never be a brilliant baker (which never stops me from going for yet another – more or less ill-fated – attempt to become one anyway). I have also become semi-addicted to fresh home-made pasta. I think among my first posts, I stated that fresh pasta needs to be stuffed to be worth the effort. I have definitely changed my mind about that… Suddenly making gnocchi on a weekday doesn’t seem that bad and ridiculously time-consuming at all. Or you just can’t imagine eating your ragu without home-made tagliatelle. For a weekday inspiration of fresh pasta, today’s recipe is a sensible choice. You don’t need to cook any potatoes or similar first but you only mix the ingredients of the gnocchi to create the dough, The result is definitely not any less delicious than a potato version but maybe even more. The gnocchi are supersoft and tasty! I have used this recipe for the gnocchi and this for the basic tomato sauce (although today I added some fresh tomatoes for extra flavour). If you are not in a hurry, start with the tomato sauce. In a pan, heat the olive oil. Add the entire garlic clove (i.e. not crushed not chopped) and gently fry for a few minutes. Pour in the tomato sauce and season with salt. Cover the pan with the lid and cook on a low hear for at least 30 minutes stirring occasionally. In the meantime, prepare the gnocchi. Mix all ingredients together to make a dough. Divide the dough into 2-3 parts. On a floured surface, roll each part to a “tube” about 2-3 cm thick. Cut each tube into small pieces that are about 2 cm wide. Use a fork and your thumb to create gnocchi of each piece (you can find some good pictures how to do this e.g. here. In a kettle, bring several liters of water to a boil. Add some salt. Cook the gnocchi for 2-3 minutes in the water. The gnocchi float on water when they are cooked. Season your tomato sauce with the basil leaves and serve with the gnocchi.